The news shocked many people, and after some uncertainty came the confirmation. 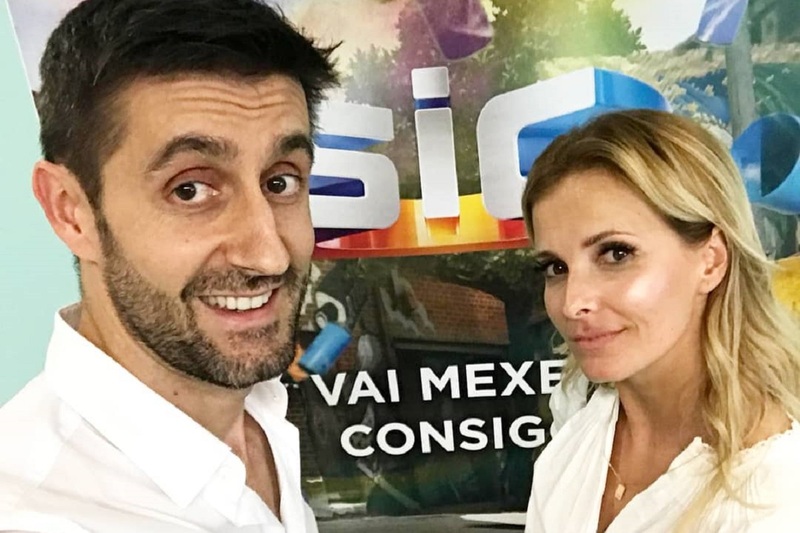 After announcing TVI on departure from Cristina Ferreira, SIC announced its employment. The goal was just one and was never so clear: to weaken the leader at one of his strongest points – the morning that anchors the day and wastes the rest daytime. The motion manager has this notion. "It's a global dynamic that such a program brings back to the season. A dynamic antenna, agility and various other levels, which is very important, impresa entertainment official told reporters. Knowing about the approaching avalanche, TVI came to work and did not give up by defeating. He expected the start of the program, sent it on radio, focused on strong themes, but nothing broke the success "TV product" which Goucha admits to have helped to generate for 14 years. In Carnaxide, Daniel Oliveira, confident in what he has in his hand, guarantees he was not aware of the competition and confesses to meeting nature, Queluz invests in the attempt to beat Carnaxide. "With a program of this size, I have focused on all these things. It is quite legitimate that each channel uses the tools and weapons it considers necessary for each moment." For the face off High DefinitionThe secret of success also goes through the aura that is lived behind the scenes and the spirit that each project faces. In this one couldn't be better. "I feel that we are all in a team, do a good job. We feel this by the way we surrender and see the work done. The fact that we have succeeded in presenting one daytime with this size … with this studio and with this dynamism, which is very different, satisfies us. I always said that we should focus primarily on ourselves. " The charisma, the popularity and the legion of fans that Cristina won over 16 years with TVI was one of SIC's most important heads. The challenge was great, but Carnaxide's new management seems to have managed to reach its goal – to make SIC a channel closer to anyone who sees it. The lounge of Malveira was the missing piece. "We want television to be the television that is close to people, and that our doors are actually open to those people who have the greatest impact on society and who have more to say. says Daniel, and also refers to the presence of Luís Filipe Vieira in the premiere of Cristina program. For the station leader, the presenter could not have been better. "You've been on the right track. That was what we hoped for at Cristina." One of the moments of greater euphoria in the national daytime television lives today. The competition for the best results came to be and the weight that the shapes of this hour get in the antenna grows more and more. T it daytime Do what has happened in other countries for a long time, especially in the United States, where these programs are not so stigmatized. These programs reach many people, some of which are the main company. " Since the acquisition of the controls of the SIC Group has exceeded several changes in the grid. Suppressed programs, changed the schedule, employed new faces, focused on new formats. Data is released. "We want to offer a quality product in each of the times we are and be competitive in each of them. The human investment we put into this program [da Cristina] corresponds to this assumption that we have the best possible supply. " Still not knowing the results from the list of hearings, on the edge of the first edition of the new morning, the director was careful. Imagination can recreate the victory of victory. "The metrics of success for a television show are not measured by just the numbers we see the following day. It's a global dynamic as a program that brings this back to the season."